Dense equatorial forests, colonial towns and a major space centre are among the faces of French Guiana, a region of France on the north-east coast of South America. The forests provide the raw material for a timber industry, but many of French Guiana's natural resources defy easy exploitation. Much of the sparsely-inhabited interior is accessible only by river. Natural splendour and an abundance of wildlife mean that there is the potential for tourism, but this is inhibited by a lack of infrastructure. The ethnically-diverse population enjoys one of the higher standards of living on the South American continent. The French social security system is in force, and subsidies from Paris prop up the economy. Outbreaks of street violence in the 1990s, fuelled in part by high levels of youth unemployment, were also seen as manifestations of tension between the region and Paris. But support for greater autonomy, and particularly for independence, is tempered by the reliance on subsidies. In January 2010 voters rejected the option of increased autonomy in a referendum, with 69.8% voting against on a turnout of 48%. France occupied the territory in the 17th century. The Dutch and Spanish also settled the area. Until the 1930s the mother country dispatched convicts to penal colonies in the territory, including the notorious Devil's Island. Many of the tens of thousands of convicts succumbed to malaria and yellow fever. 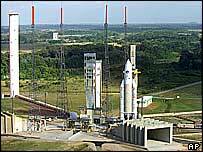 Another former penal settlement, Kourou, is home to a European Space Agency rocket launch site. The facility has been a boon to the local economy, accounting for a significant slice of GDP, and has given the territory a strategic value. An appointed prefect represents Paris. Two elected councils - the Conseil General and the Conseil Regional - exercise power locally. The territory sends elected representatives to the French National Assembly and to the Senate.